ACE Seeds crossed Purple Haze with African genetics of New Killer Malawi. This 100% pure Sativa will finish after a flowering time of 13-15 weeks, and produces a long-lasting Haze high of the finest quality. Purple Haze x Malawi is first-rate cannabis, not only due to strong effects. The flavours ranging from blackberry liqueur to incense, exotic wood, and citrus are the purest delight! Purple Haze x Malawi is far from the average strain one would use to get their daily buzz on. ACE Seeds created something of high value, and crossed old school classic Purple Haze with the African Sativa New Killer Malawi. The landrace genetics of Malawi originate from the Salima region in south-east Africa, and are known for having a very long flowering time. The result of crossing these two strains is a (100%) pure Sativa F1 Haze hybrid, with remarkable features concerning effects and flavours. It can take up to 13-15 weeks until Purple Haze x Malawi reaches full maturity. What can be seen as a disadvantage from a growers perspective, is actually one of the reasons why the overall bud quality is way superior to what many strains can produce, including Haze strains. This strain grows into the structure of a tall and thin Sativa, and demands low to medium amounts of fertilizers. Especially nitrogen is needed in small amounts, in comparison to other strains. Outdoor growing is only possible in tropical or subtropical climates. The high will be one of the best you’ve ever experienced, very long-lasting, cerebral, and intense. Purple Haze x Malawi is a strain for expert tokers, and novices might need to look elsewhere. The flavour profile is equally satisfying, and offers a blend of blackberry liqueur, incense, and exotic wood, mixed with fresh citrus and several spicy tones. Most growers will fear the challenge of growing a potent Haze hybrid that flowers in 13-15 weeks. Those who don’t will be rewarded on a large scale, not only in terms of yields, but more importantly, in terms of overall bud quality and effects. It’s not easy to weigh off a long flowering time with the quality you get in return. 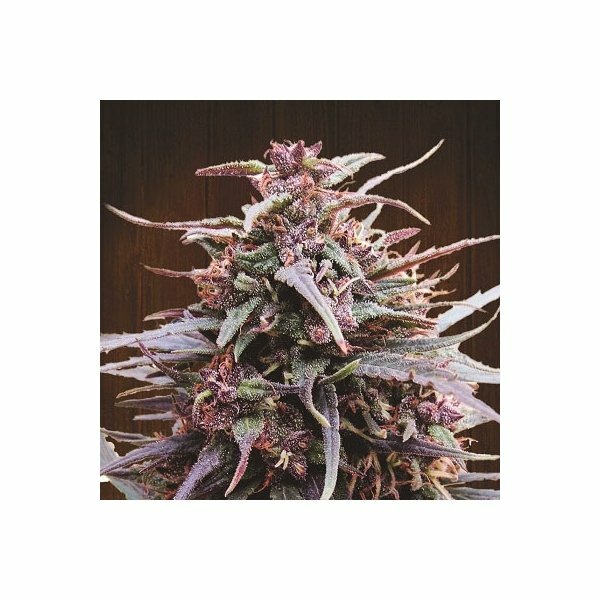 Purple Haze x Malawi makes things relatively simple, purely by convincing when it comes to effects and flavours.